To an allergy sufferer, latex seems to be everywhere you turn. At least it seems that way. Many items we see day to day contain latex. Bandages, balloons, erasers, blood pressure cuffs, dental dams, and latex gloves are just several of more than 40,000 products known to contain latex rubber. Although most latex allergy sufferers are affected by direct contact with latex, some individuals are troubled by inhalation of airborne latex particles. This means a person does not have to touch latex to experience an allergic reaction. The handling of latex products can cause latex particles to be dispersed into the air. Protein allergens can often be carried through the air by means of the powder found in medical gloves. When a susceptible person inhales these particles, an allergic reaction may occur. This response, which usually occurs within several minutes of exposure, is termed an immediate allergic reaction. Hives, wheezing, coughing, shortness of breath, or symptoms resembling hay fever - such as sneezing, nasal congestion, runny nose, conjunctivitis, and nasal, palatal, or ocular itching - are all indicative of immediate reactions. At Tooth Heaven, our staff have non-latex options that will help in avoiding any reaction. It’s just one of the ways we want to make your visit to the dental clinic more memorable and less intimidating. 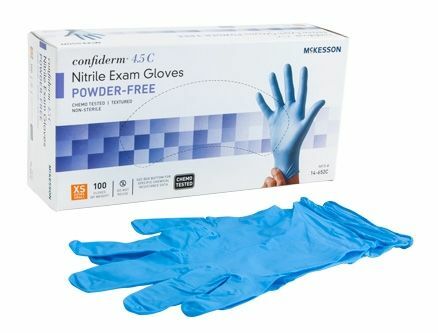 Once indicated on your medical history form, we will be prompt to prepare non-latex options such as non-powdered nitrile gloves and non-latex masks and equipment. Our staff are also up-to-date with any First Aid treatment as well as being equipped with emergency medications should any emergencies arise.